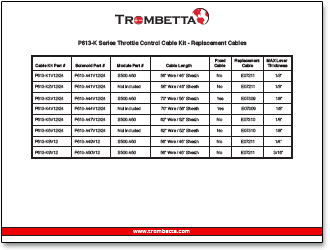 Trombetta’s P613-K Series throttle control kit is designed for the ultimate in reliability. The solenoid kit consists of a three-wire dual coil solenoid, a solid state control module and stainless steel sheathed pull cable. 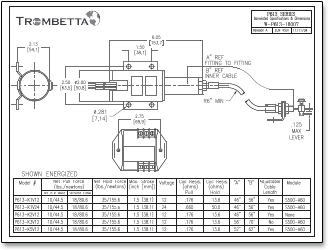 The sheathed pull cable allows the solenoid to be mounted away from hostile environments, such as engine vibration and high temperature. The throttle solenoid can be activated automatically or “on demand” to bring the idle speed to a pre-set high idle position. The electronic control module allows the solenoid to operate as a continuous duty device. When the module is wired as recommended, applying 12 VDC to the “+AUX” terminal applies voltage to the hold-in and pull-in coil of the solenoid. After 0.5 to 0.75 seconds, power is automatically removed from the pull-in coil. Power will remain at the hold-in coil until the 12 VDC signal is removed from the “+AUX” terminal. The P613-K1 Series is offered in both 12V and 24V. 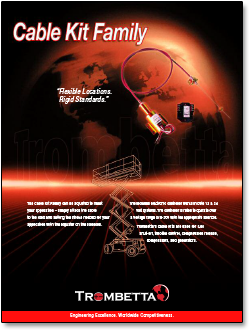 The coils are fully encapsulated and able to withstand a variety of environmental conditions. 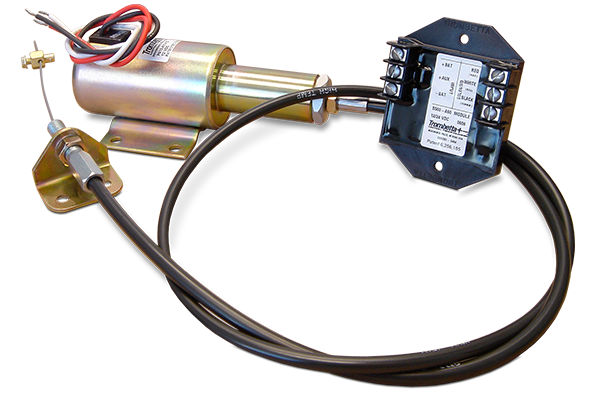 The side-mount, three-wire solenoid has a maximum adjustable stroke of 1.5”. This solenoid provides 20 lbs net pull force and 40 lbs net hold force. The 12V model is rated at 70.5 “pull-in” amps and 0.9 “hold” amps, while the 24V models is rated at 36.4 “pull-in” amps and 0.5 “hold” amps. Typical applications include air compressors, utility trucks, stationary generators/welders, emergency vehicles, maintenance and construction equipment. 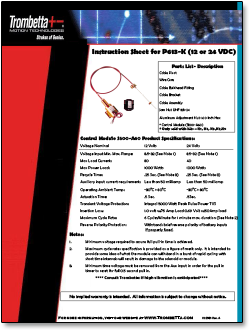 Click here to purchase the P613-K Series Throttle Control Kit Family in the MurCal web store.